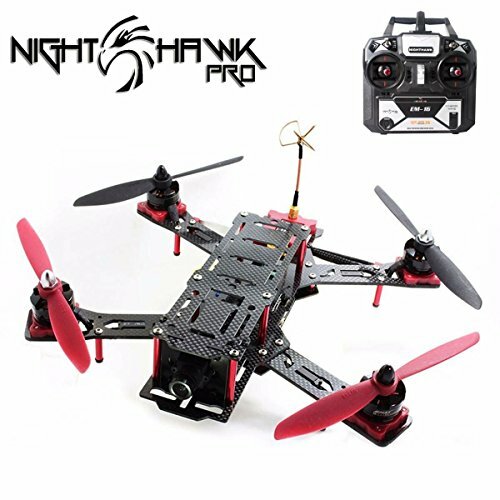 The Nighthawk Pro 280 was designed from the ground up to meet the exacting specifications of the Drone Racer. The sturdy copter frame has extensive flight test and endurance test. All in one design to combine ESC, BEC, and flight controller for easy installation and easy replacement. Plug and play motor, easy for swapping motor and no soldering needed. Independent. Independent ESC and flight controller and power supply. ESC switch to perform single ESC calibration and boot pad to perform software and firmware upgrade. Support ANGLE, HORIZON, HEADFREE, MAG, HEADADJ …etc modes. Support RC Input: standard signal, CPPM (PPM SUM) signal, PWM singal. Extra power output and power output switch for LED expansion.